The mind is the most complicated device known to man, and it comes without a manual. Learn Yourself: A Manual for the Mind offers the reader a simple, but powerful, way to understand the mind and all that's within it. Written in plain English, this book covers a full spectrum of psychological topics without using psychological "jargon." Any reader may comprehend Learn Yourself and its companion volume, yet no substance is spared. Overcome trauma and other mental "baggage"
And so much more! Learn Yourself features a comprehensive collection of techniques and exercises to teach the reader how to teach themselves. Supplemented by illustrations and real-world examples, the lessons could not be clearer. All the reader has to do is read. 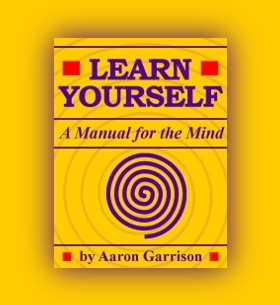 Learn Yourself: A Manual for the Mind – figure out what makes you "tick"!